A caller identifying himself as “Greg Miller” (and other names) calling from PEPCO warning the consumer that their power would be shut off due to unpaid bills. The caller leaves a toll-free number and extension. When the consumer calls that number back, the outgoing message sounds very like what a PEPCO caller would hear if they were actually calling PEPCO. If you receive a call from someone claiming to be a PEPCO representative about a bill that does not sound familiar and threatening to shut off your power, hang up and call PEPCO directly at the number that appears on your monthly bill to see if the call was legitimate. Also, consumers report door-to-door vendors claiming to be PEPCO but may not be. 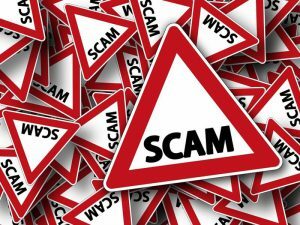 In fact, PEPCO issued a press release about scammers contacting consumers about alleged delinquent accounts. The scammers seek payment by pre-paid debit cards Police warned. Similarly, door-to-door salesman will identify themselves as working for your energy supplier, ask to see a bill, and offer discounts and better deals. Your account information is on your bill and you may be slammed into unwanted contracts with a different energy supplier (without your knowledge or consent). Since PEPCO would still service the bill, you might not even know your supplier has been switched. Consumers report aggressive sales tactics where the salesperson refuses to leave until they see a bill so they can “check off” your name from their list. Do not show them your bill and shut the door.